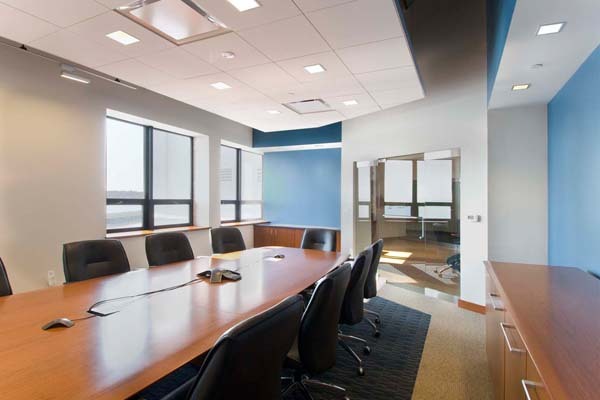 The GT Advanced Technology Northshore Building 2 Office Build Out consists of an entirely new configuration of privates offices, open office and a main conference room within an existing structure in Salem, Massachusetts. A new employee café and toilet facilities are also provided as part of this 5,500 sf project. A combination of bold forms and accent colors compliment the judicious use of wood at the entry and the open metal grid and suspended light fixtures are used to reduce the scale in the open office.